Kevin Kelly has developed his own methodology, Xceptional Execution, which is integrated in his keynotes. He teaches companies how to achieve breakthrough sales records and develop sustainable relationships with customers. As an internationally acclaimed authority and speaker, Kevin is able to inspire and motivate audiences. Kevin Kelly is internationally acclaimed as an authority and motivator on success principles, leadership and sales. In addition, he has developed his own cutting edge methodology, Xceptional Execution. After having discovered that academic research studies proved that 88% of company breakthroughs were the result of exceptional execution of an ordinary idea, Kevin has single-mindedly explored this remarkably simple concept. This research culminated in the development of his unique XE methodology; Xceptional Execution. Built on four key principles Kevin inspires, challenges and shows how to take your business to the next level. Kevin was raised in a small entrepreneurial family in the business of retail. From a very young age, he was selling and negotiating, listening to and serving customers. During this time, he developed a great passion for human behavior. With a Bachelor of Commerce degree from University College Galway in 1987, Kevin proceeded to break sales records in each of the companies he worked for in the construction and manufacturing industries. 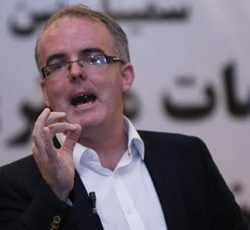 In 1990, he started his company Advanced Marketing Ltd and lectured International Marketing and Management at the Sligo Institute of Technology in Ireland. Presently, Kevin speaks about his expertise in his keynotes, at corporate meetings and conferences throughout Europe, the US, the Middle East and Asia. From Fortune 500 companies to prestigious associations, he has addressed a long list of major organizations, including Coca-Cola, Pfizer, Microsoft, The Million Dollar Round Table, Globant, HSBC, KPMG, Scania and Lane Crawford. Kevin is also a writer, and in the past years he has written five books. In his latest, DO! The pursuit of Xceptional Execution, he interviewed nine CEO’s from some of the biggest break-through start-ups. In the book, Kevin researched the DNA of the CEO’s of these startups, who he called the ‘Xceptionalists’, highlighting the thinking behind those who are devoted to the Xceptional Execution mindset and approach to business and life. Kevin’s interactive combination of the most up to date research, stories and unique exercises guarantees maximum audience engagement. He mixes insight, inspiration and information in a way that always leaves the audience feeling energized and inspired. The latest research shows that the average attention span of a goldfish is 9 seconds, of an individual it is 8 seconds. Engaging and building brand loyalty is becoming an extreme challenge. Using his methodology of Xceptional Execution, which draws on over 2 decades of breaking sales records in client companies, Kevin Kelly highlights the secrets to dramatically increasing your sales and developing long term sustainable relationships with customers. The 4 E’s of Effective selling. Just how distracted are we – Attention deficit society breakdown. How canned can’t? How and why a canned sales approach doesn’t work with the modern consumer. How to build friendships, not customer relationships – Goodbye salesperson, hello business consultant. How to close a sale? You don’t! Aspiring entrepreneurs face many challenges before taking that vital first step, not least the intimidating myths that they must be a stand-out visionary, have a unique idea and work to a detailed, all-worked-out-in-advance business plan. Another factor, according to the Global Entrepreneurial Monitor, is that everyone deep inside has a fear of failure, cited as the number one reason why people fail to act upon their entrepreneurial dreams and ideas. In this keynote using his methodology of Xceptional Execution, Kevin Kelly highlights what makes startups and their leaders – which he dubs the “Xceptionalists” – succeed beyond all odds. Kevin uses cutting edge business cases such as Dwolla, Globant, Outfit 7 and Balsamiq to show that success doesn’t depend on the normal factors, moreover, it depends on your ability to execute with Xception. Why self development is the key to attracting the right team. In the leadership vacuum that exists around the world, it’s a challenge to find an Xceptional role model. In this keynote, Kevin Kelly challenges future leaders to be the message, not just to communicate one. Using his methodology of Xceptional Execution, Kevin highlights how to mirror the mindset, attitudes and success strategies of the outstanding Xceptionalists he interviewed for his book “Do: the pursuit of Xceptional Execution.” From these exclusive interviews and over two decades working with companies, Kevin distils the attributes of the modern leader and shows how to create leaders at all levels. How the creation of an empowering culture starts with yourself? And how it is the key to developing, attracting and retaining top talent. When people use the word innovation in corporate circles too often, it conjures up the image of a Yogi levitating or a giant apple falling on someone’s head. This myth has helped to put innovation and creativity into the margins of business – as “their job!” The reality is that innovation/creativity comes through Xceptional Execution of an ordinary idea – no AHA moment, no levitating, oftentimes no WOW. Drawing on Kevin’s research with some of the most compelling new brands on the planet, participants will see that the new innovation is no more than incremental improvement of an existing idea; and in all modern organizations, everybody can contribute. The future tends to be positioned as a mini Armageddon – the general wisdom is that things will be different, dramatically different. Well, actually NO! The facts are that two key variables critical to the success of your business remain the same. The challenges continue to involve the people, how to leverage their potential, and the ever decreasing window to engage them. And secondly, the need for change to be part of the corporate culture, interwoven into the fabric of the organization. Seeing beyond the chaos – the need for vision. Customer retention is the challenge for most businesses. A more informed and distracted customer requires a new approach to service if you want to build a more sustainable business. In this keynote, Kevin highlights the elements behind a successful and Xceptional customer service culture. 10bn brain cells yet people are predictable – how to connect.